Witht he advent of Inverter technology we can reduce our electricity bills considerably. The common misconception is that inverter models cost a lot, hence we thought to give a preview of some of the inverter models which are pocket friendly. 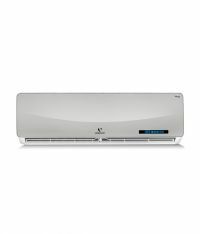 You can see list of our Carrier, Panasonic, Videocon: 1 Ton Split ACs below, perform Side-by-Side comparison. If you need further help, do have a look at Conzumr Guides and Tips. Alternatively you can view all Air Conditioner to choose your own favourites. When you set the air conditioner in AUTO mode, it will automatically select cooling, heating(cooling/heating models only), or fan only operation depending on set temperature and the room temperature.The air conditioner will control room temperature automatically to the temperature point you set. If you feel uncomfortable in the AUTO mode, you can set your desired temperature. 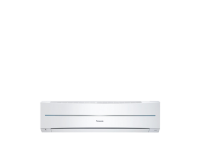 Videocon presents a new range of Air Conditioners with MPCS Multi Point Cooling System. This new generation technology injects refrigerant at multiple points, to introduce faster circulation of refrigerant, leading to faster cooling. This unique feature also optimizes power consumption to give you great savings. 12.7 " CS-KC12PKY : 12.7 "
6.35 " CS-KC12PKY : 6.35 "
To Recieve updates and possible rewards for Carrier Midea Superia 42KGN-012S please sign in. To Recieve updates and possible rewards for Air Conditioner please sign in.